So Much More Than Shampoo! 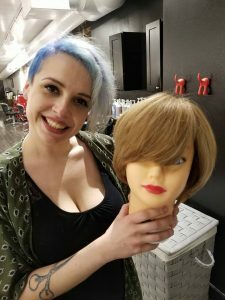 So Much More Than Shampoo: The Crimson Assistant Training Program prepares potential Philadelphia Stylists with precision, hands-on education! 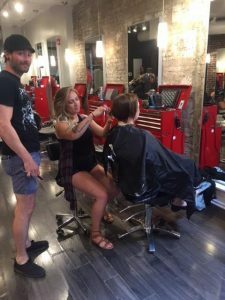 The Crimson Hair Studio Assistant Training Program is the stepping stone to a full-fledged professional career as a stylist. After the rigors of attending school & the arduous task of becoming licensed, a beginning stylist can technically become employed, it is up to them to establish goals to set-up a career in an environment where skills can be further established. Crimson Hair Studio is the home of many of Philadelphia’s most talented Master Stylists & our Assistant Training Program is an opportunity to hone a deeper understanding of the diverse precision within the hair industry. 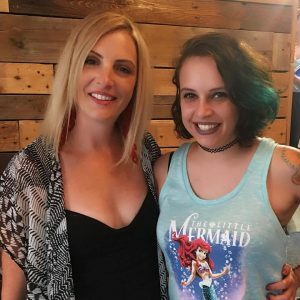 Depending on your level of study, expect to train with us for 12-24 months to increase your knowledge of advanced haircutting and coloring techniques, while learning the skills to help build your clientele and develop your career as a Beauty Industry Professional. Salon Support is a must, but that means so much more than just shampooing heads & sweeping; you will become immersed in the arts of accommodating, initiating support, the balance of personality & professionalism, & advanced product knowledge, including backbar & color lines. Our friends who have gone through the Training Program would like to thank everyone in their lives who have come in to model for application processes & every other studied services!